A Pennsylvania bear hunter mistakenly killed a pet pot-bellied pig named chopper thinking it was a bear. Accidents happen, mistakes happen, but sometimes things shouldn’t and this is one of them. A hunter in Pennsylvania mistakenly shot a pet, pot-bellied pig during bear season that he thought was a bear. While a large pig could definitely be mistaken for a bear, this hunter shot the pig while it was on private property and near a home. These types of things remind us that you’re responsible for the bullet when it leaves your gun and that it’s very important to know exactly what you’re shooting at. 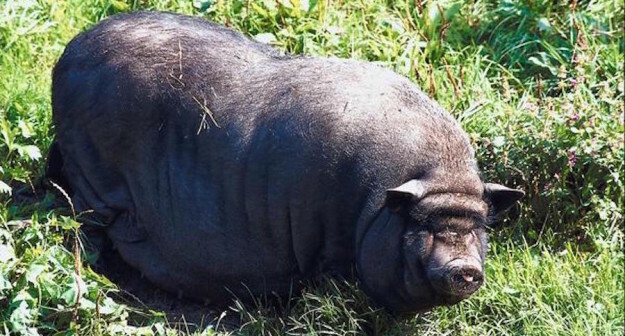 This pig was the pet of a man who owned a 12 acre farm where the pig, named Chopper, could roam. You can read more of the article on the original news story here and watch the video. Check out more outdoor news.